Soaking seeds is an old trick that many new gardeners ignore or never knew to try. Using this trick is supposed to decrease how long it takes for seeds to germinate. When I first heard this trick, I wondered if soaking seeds was really necessary? Does it ACTUALLY make a difference? 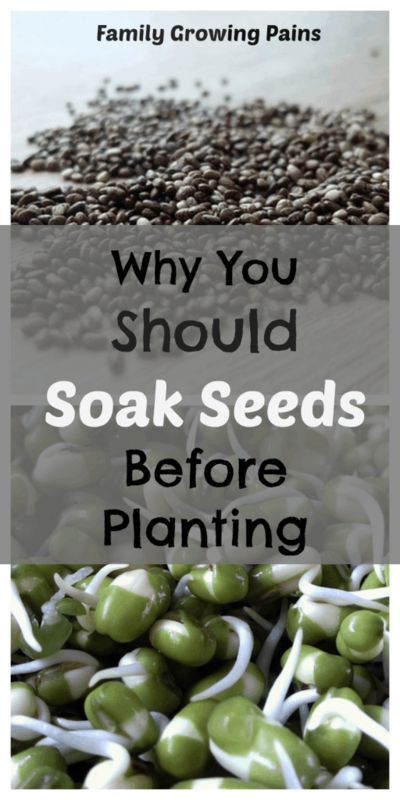 Why Should I Soak My Seeds? In nature, seeds encounter different conditions. The weather can be hot or cold, wet or dry, or your seed may live in a bird or small animal’s stomach for a while. Life is not gentle on seeds. But, we are gentle with the seeds. Soaking seeds before you plant them helps break down the natural defenses your seed develops to defend itself against Mother Nature. Breaking down the defenses leads to faster germination. Another reason to soak seeds is to activate their internal gauge to germination mode. Seeds determine when it is time to germinate by the moisture content around them. Increased moisture sends the – hey its time to sprout – signal to the seed. So, soaking seeds is going to speed up germination. I know I like faster germination, but I don’t have much patience. 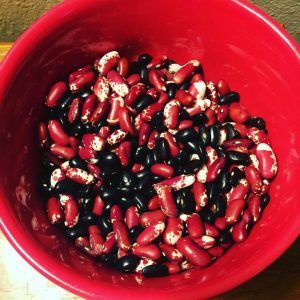 Soaking Seeds: Is It for All Seeds? Don’t soak little seeds, such as lettuce or radishes. They don’t reap the benefits, and wet, small seeds are hard to handle. How Do You Soak Seeds? Soaking seeds is easy! All you need is a bowl of water and the seeds. Fill up your bowl with hot, tap water. Put your seeds into the bowl, and let them stay in there as the water cools down. You can oversoak a seed, so you can’t leave them in the water and come back in five days. You never want to soak for more than 48 hours. The recommended soaking time is 12 to 24 hours. Put them in the water before you go to bed, and they will be ready for planting the next morning. Just put the seeds right into your garden! Don’t soak your seeds if the weather forecast calls for rain the day you are planting. 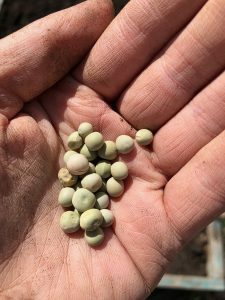 You want good planting conditions if you want to plant soaked seeds. Otherwise, the seeds will soak too much, and the soil will be compacted. Large, harder seeds sometimes benefit from scarification. That basically means nicking the seed coat, but not puncturing all the way through! You can use a dull knife or a nail file just to nick the seed to encourage germination once soaked. I love learning something new. I can attest to the benefits of soaking seeds. Last year, I heard about the recommendation, and I gave it a try with my green beans. I saw green bean sprouts in my garden beds in record time. For those impatient gardeners, give this trick a try! I soaked my morning glory seeds overnight and they were up two days later! Okay. 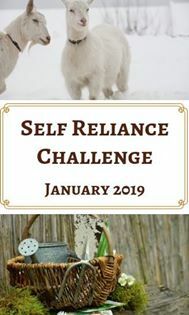 I will have to give a try this coming weekend. Thanks. How hot is hot water? IF we have a shower, but that’s for hotels. Most of us don’t even have showers. We use the handy bucket and dipper system of “showering”, and we heat our water on the stove, then carefully add it to the buckets. Hot water here would be considered 120-140 degrees F. Most hot water tanks are set to those temperatures or a bit lower.